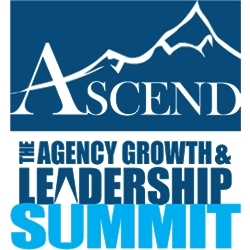 Nashville, TN, January 14, 2019 --(PR.com)-- On Thursday, January 24, 2019, owners and principals of more than 150 independent employee benefits agencies will assemble for the Fourth Annual "ASCEND – The NextGen Benefits Growth & Leadership Summit" at the Gaylord Opryland Resort in Nashville, Tennessee. For advisers who are ready to ascend to the C-Suite, Bottom Line Solutions, Inc. (organizers of ASCEND and architects of the NextGeneration Benefits Model) and The Hero Club of The C-Suite Network (the world’s most trusted network of C-Suite leaders) are pleased to announce a special opportunity for the evening of Wednesday, January 23...the night before the official start of ASCEND. ASCEND registrants are invited to a private reception hosted by the C-Suite Network, where they will have the opportunity to network and connect with more than 100 executives. Click here to view the list of recent Press Releases from Bottom Line Solutions, Inc.